Court upholds Tatfondbank’s ex-chairman demand to fast track $328M claim of Russian DIA | Russian Legal Information Agency (RAPSI). MOSCOW, March 6 (RAPSI) – The Commercial Court of Tatarstan has supported a petition of the Tatfondbank’s former chairman Robert Musin seeking to fast track the claim of the Deposit Insurance Agency (DIA) of Russia to include 21.5 billion rubles (about $328 million) into the creditors demands, the court documents read on Wednesday. The court ruled in favor of Musin basing on the fact that the DIA claim was registered yet in September 2018, and should have been examined this January latest; nevertheless, the hearings are set for March 25, outside of the time limit set by the bankruptcy law. On July 18, the court granted a motion of Tatfondbank and declared Musin bankrupt. Earlier, the court initiated a procedure of restructuring Musin’s debt. The DIA sought 16.7 million rubles ($255) from the banker. Notably, Musin is charged with embezzlement. According to investigators, in August 2016, employees of the bank provided false data to the Central Bank of Russia to obtain a credit and subsequently embezzle the funds. Later, the money was transferred to the accounts of affiliated companies. Investigators believe that overall damage in criminal cases against Musin reaches 50 billion rubles (about $765.6 million). 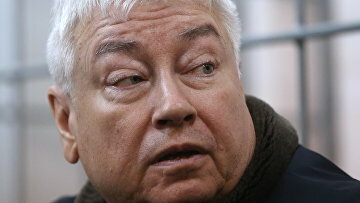 Thirteen cases over abuse of office opened against Musin are allegedly connected with embezzlement of 18 billion rubles ($275.6 million) belonging to Tatfondbank.